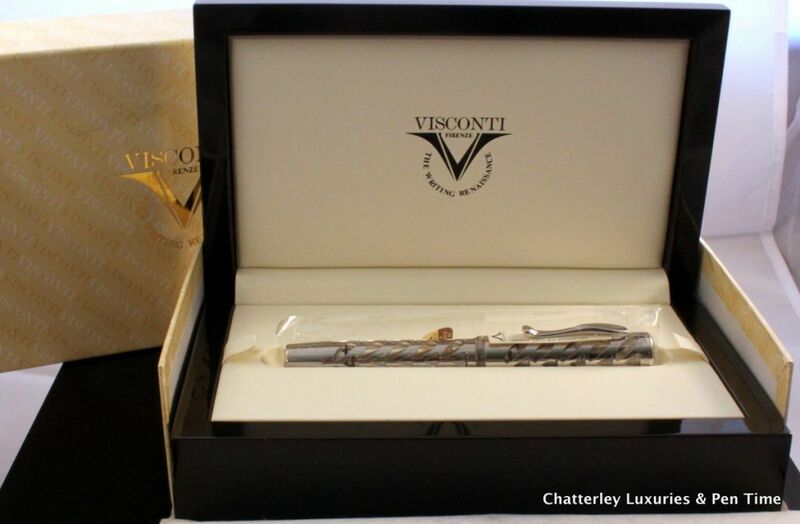 Presenting the Visconti-Chatterley Limited Edition Skeleton Fountain Pen. 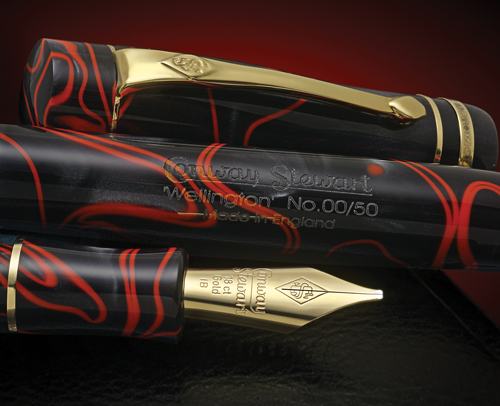 The original Skeleton is an incredible pen from Visconti, and still is highly collectable and sought after today. 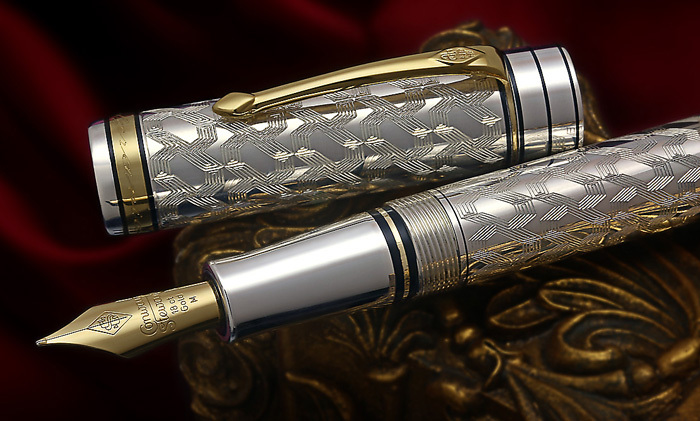 This pen is based on the same size as the Visconti Skeleton, with the same style of clip that was part of what made the ‘old-style’ Visconti’s very collectable and usable pieces. This particular version features Sterling Silver Overlay. In addition the 925 Sterling Silver Overlay, it has been plated with palladium to help prevent the tarnish that naturally occurs with Sterling Silver. 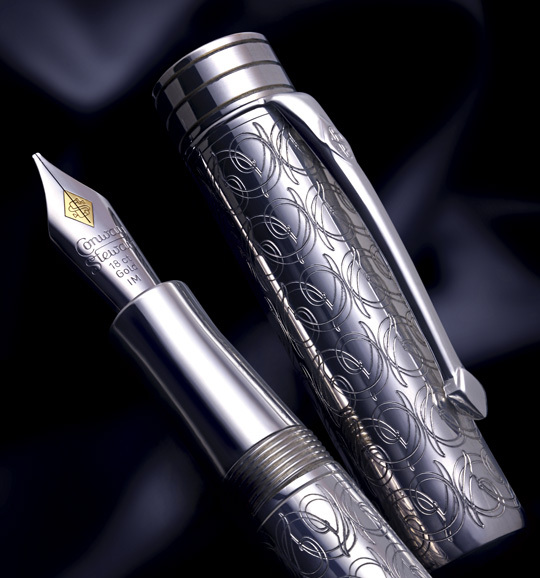 The fit and finish of this pen are a testament to the detail oriented production. 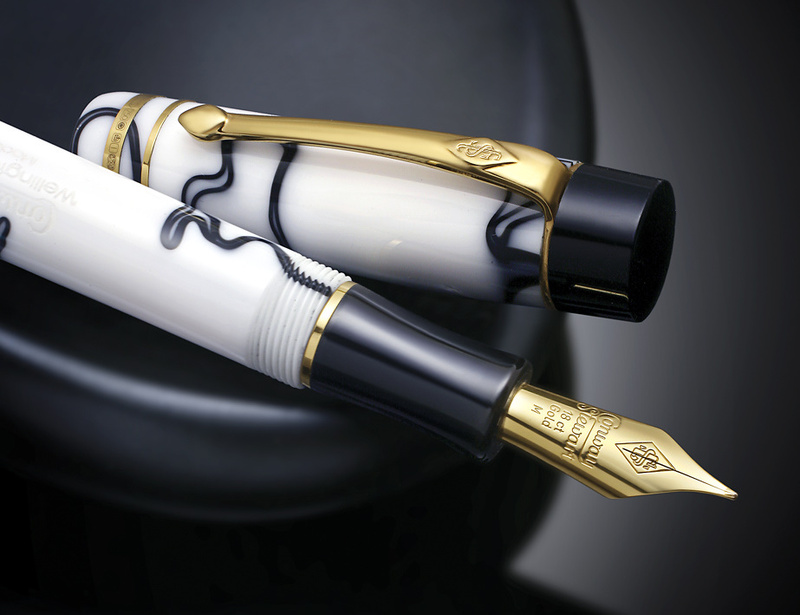 This Skeleton is fitted with Visconti’s 23 kt palladium Dreamtouch nib, and is available in EF, F, M, B. In addition the filling system is a Double Reservoir Power Filler, which compliments the clear resin that embodies the pen. So the user will see all the ink in the pen at anytime. The complete finished product is full true skeleton, that is limited to 22 pieces worldwide, and overall a beautiful pen. 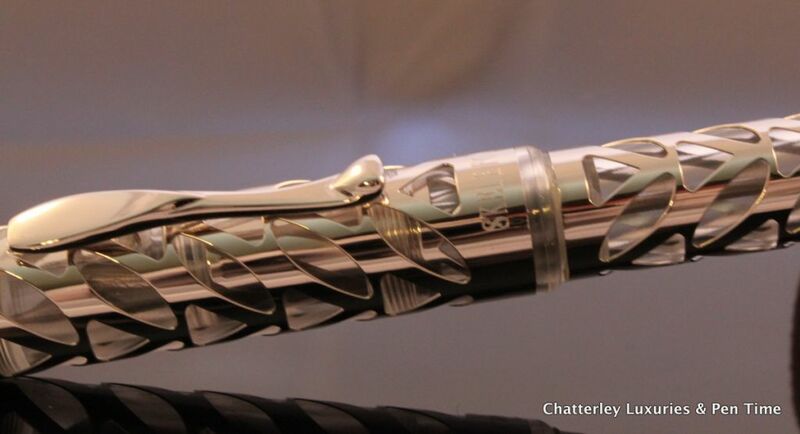 Chatterley Luxuries is carrying this piece exclusively.